Established in 2000 - 18 years and counting! The aim of the forum is to provide current information (and be a referral for past records) of Birds, Mammals and Cetaceans in the Angus and Eastern Scotland area. This is done via a forum which is open to the public and where sightings can be posted and viewed. Sightings are obviously not guaranteed but filtered as best as possible, and news regarding sensitive species may be edited if need be. It is also a handy place to post your photographs, ask questions, meet local wildlife enthusiasts and promote local wildlife events. To view and post in the forum, Please read carefully the forum rules and guidelines. Registering and using the forum indicates you agree to the rules and guidelines found on the above link. Please feel free to check out our Facebook page where you can also share your photos and videos! Any problems/questions at all in registering or about this website, do not hesitate to contact admin at the above email address. Thanks for visiting and for your continued support of this website! This website is FREE to use but not without cost. 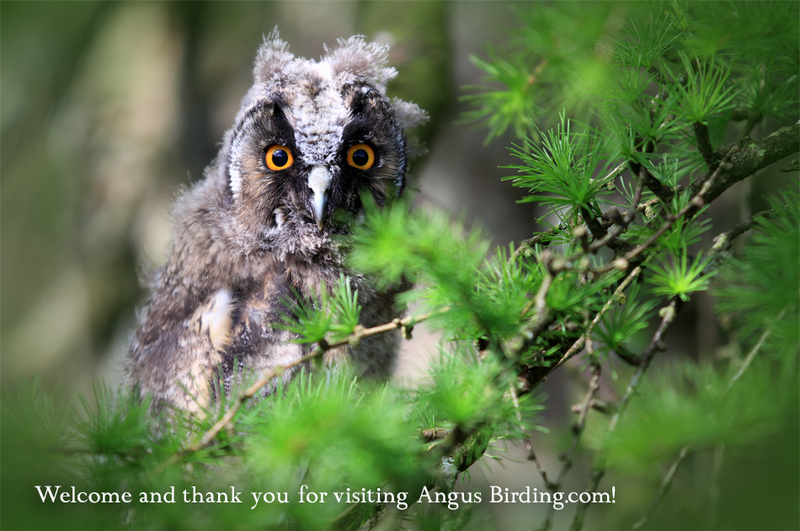 If you enjoy this website and find it useful, you can show your support by visiting the sponsors below and joining the Angus & Dundee Bird Club. Or you can make a donation by contacting the website admin or clicking the paypal donate link.